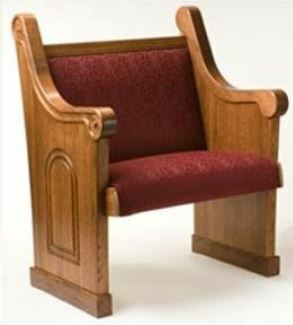 Increasingly, more and more churches are finding themselves asking the question: “which is better for our congregation, church pews or church chairs?” Some might think the answer is a simple one and will hastily list their old church pews for sale, while others might be appalled at the thought of worship without pews. So, what is the right answer? There are a few things to consider to determine which type of seating is appropriate for your congregation. Pews are a popular choice for many churches, as they are long wooden benches that can seat numerous people. They are a symbol of traditionalism and are considered to be an old-fashioned seating choice for many congregations. While there generally aren’t a wide variety of colors and designs to choose from, many worshipers appreciate pews for their simplicity and beauty. Worshipers who have always attended worship services on pews may have a strong emotional attachment to this particular seating choice. While pews are beautiful and simple, they come with their own unique set of pros and cons. As previously mentioned, many worshipers have a sense of traditional and sentimental feelings toward pews over other seating options. Pews have been associated with churches, which makes them the preferred choice. Pews also allow for congregations to sit closer together, creating a sense of community that is hard to match. Unlike other seating options, pews provide more room for individuals to have their personal space. Pews also have a longer lifespan than chairs and require little to no maintenance, which makes them a favorite for churches from a budgetary standpoint. As a result of their design and installation requirements, pews are often immobile, resulting in a permanent location once installed. Pews are large pieces of furniture, which means that they take up a lot of room in a church. In addition, because of their wooden structure, pews can be expensive to purchase, which means that it can be difficult for new churches to afford custom, wooden pews. No matter how much padding is placed on a pew bench, they are often not nearly as comfortable as other seating options, making if difficult for patrons to sit comfortably through long sermons. Recently, many churches have started to make the transition away from pews and instead are providing church chairs for patrons to sit on during Sunday worship services. What makes church chairs different from other types of chairs? In most cases, they are metal, 4-legged, stackable chairs. These chairs generally come in a more modern style with different options to choose from, including size and color. Church chairs are gaining in popularity because they aren’t permanent like pews. Chairs can easily be picked up and moved around to accommodate larger or smaller congregations. Chairs can easily be moved aside to create a space that serves other purposes beside worship services. Chairs also cost significantly less than pews, which makes them more affordable for many newer and smaller churches. Because of their padding and upholstery, many church chairs are considered to be more comfortable than pews. For the sticklers for tradition, church chairs aren’t going to make the cut. When it comes to tradition, the pew is still the favorite. Because many church-goers prefer the look, feel and style of pews, chairs are automatically at a disadvantage. Unlike pews, chairs cost more in repairs and maintenance, as chairs are not designed to last as long as pews. As a result, chairs have to be replaced or reupholstered often, which can be inconvenient for many churches. So, before you hurry and list your old church pews for sale, consider what your congregation wants and try to accommodate. Whether you elect to stick with beautiful, wooden pews or modern, comfortable chairs, your congregation will appreciate you taking their input into consideration. 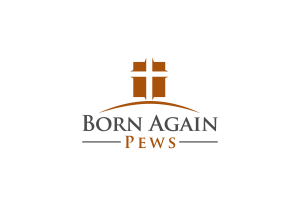 At Born Again Pews, we provide both quality wooden pews, custom-made to complement the look and feel of your church, along with a wide selection of comfortable chairs that can provide your church with a more modern look and feel. Check out our selection today and decide what will work for your needs and your budget!